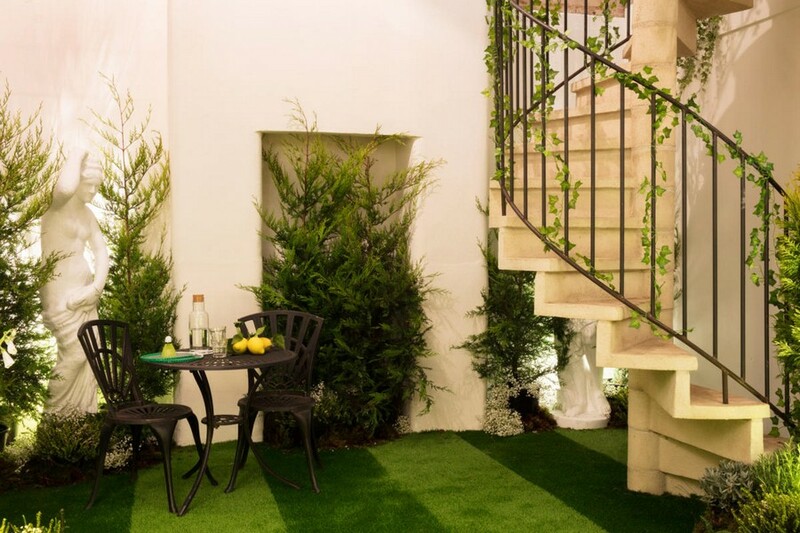 Trendy ecological theme and fashion for greenery hues gradually acquire global dimensions. Green home textile, floral wallpaper and potted plants are great, but to let oneself feel the full beauty of greenery a whole house is required. That’s exactly what two world famous companies – Pantone and Airbnb – figured out and proved their point. 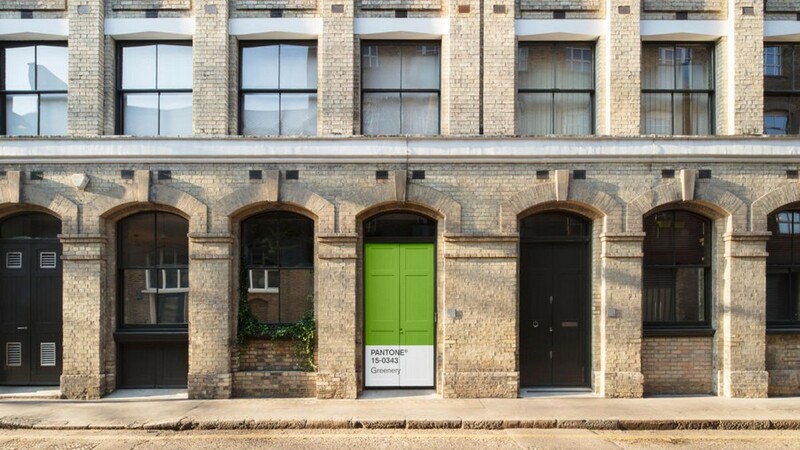 A house located in Clerkenwell, a historical area in the centre of London, at Dingley Place, 4, can be booked on Airbnb web-site for 200 pounds per day. And though this price can be hardly called low, the list of people wishing to live here is expected to be long. The collaborative project of Airbnb, an international project for renting dwellings around the globe, and Pantone, the global authority on color and provider of color systems, is called Outside In, and this peculiar name speaks for itself. We have already discussed one of the top-trend colors for the year 2017 announced by Pantone – Greenery. This particular shade, as well as the entire range of green hues and the theme of leaves, plants and nature on the whole, has become the leading trend for international interior designers. 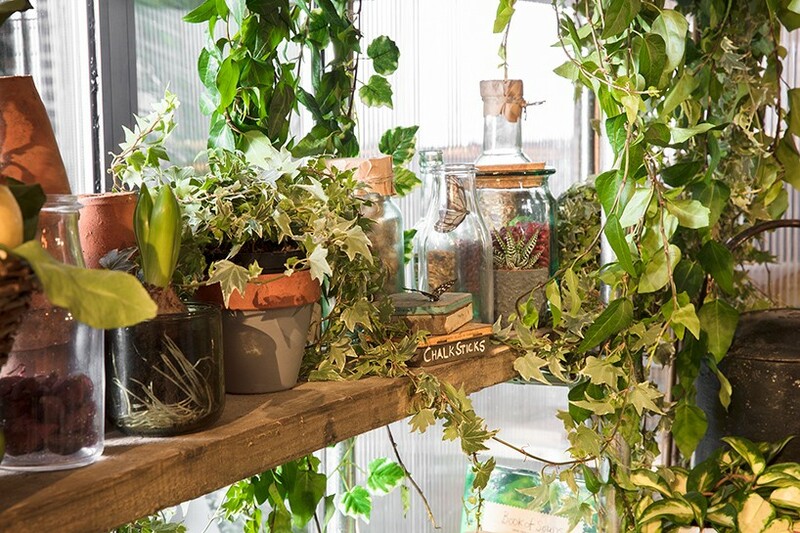 So, in Clerkenwell house Greenery is the overarching topic of the entire interior that has penetrated into its every nook – from the entrance door to the bathroom. Indeed, right from the porch the house tells you that Pantone’s Greenery color will be everywhere. 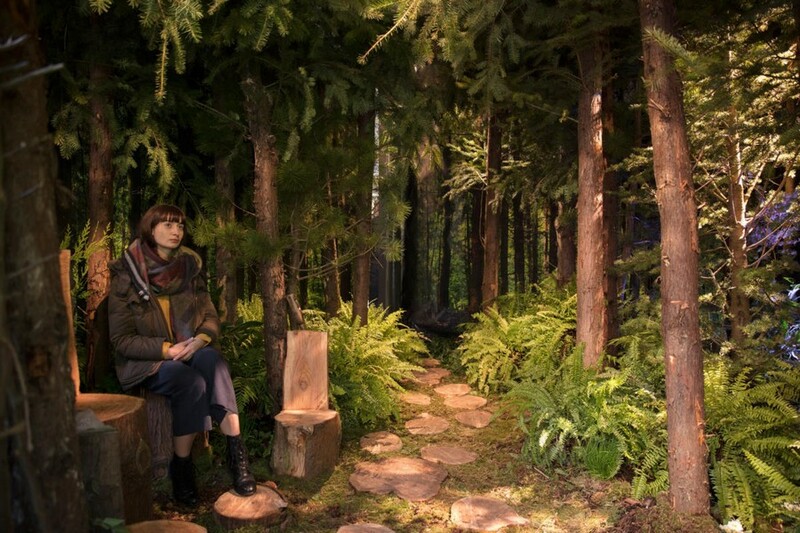 Once inside, you feel like you got to a fairy-tale wood hidden from prying eyes, or to a giant greenhouse, or to a tourist camp lost in the jungles. 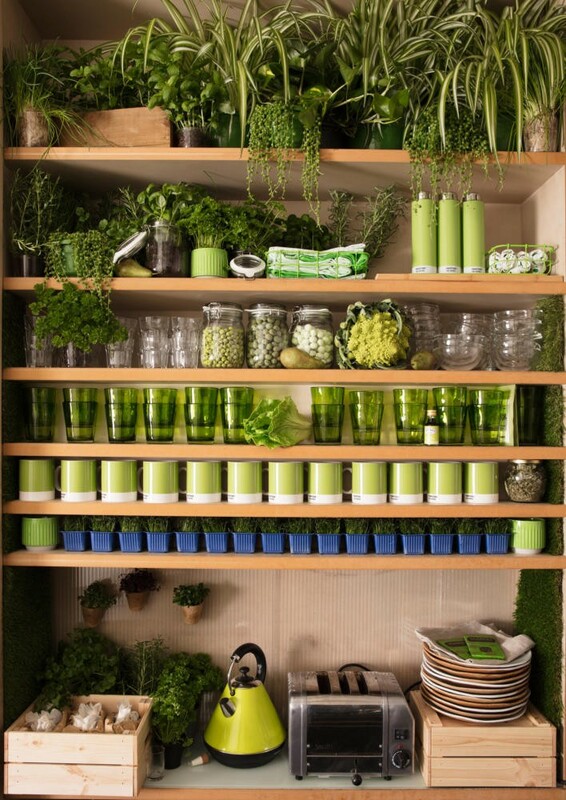 Green lawns, herbs, trees, and flowers are everywhere: they grow right on the floor, on the walls, hang from the ceiling, and live in hundreds of pots arranged on multiple shelves around the house. And all the non-living elements are organically disguised as the surroundings. 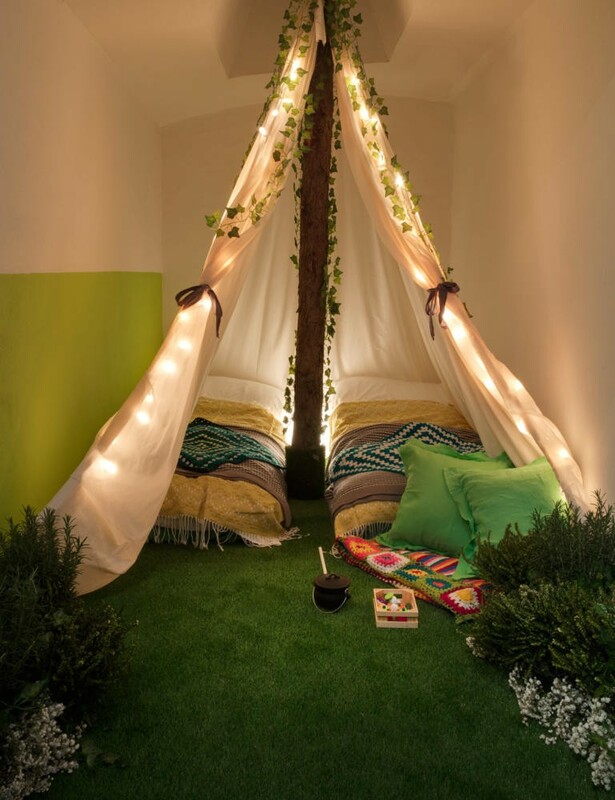 For example, a bed in the master bedroom turned into a garden gazebo with ivy climbing up, and the kid’s zone became a tent for young admirers of nature. 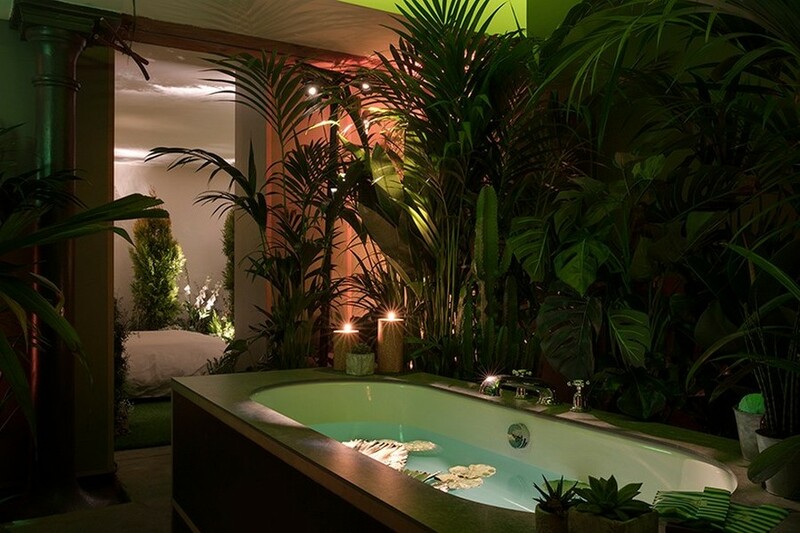 In the dining room visitors are surrounded by numerous pots and cans filled with greenery, and in the bathroom one can feel like in a tropical lake. So, what’s the point of this project? 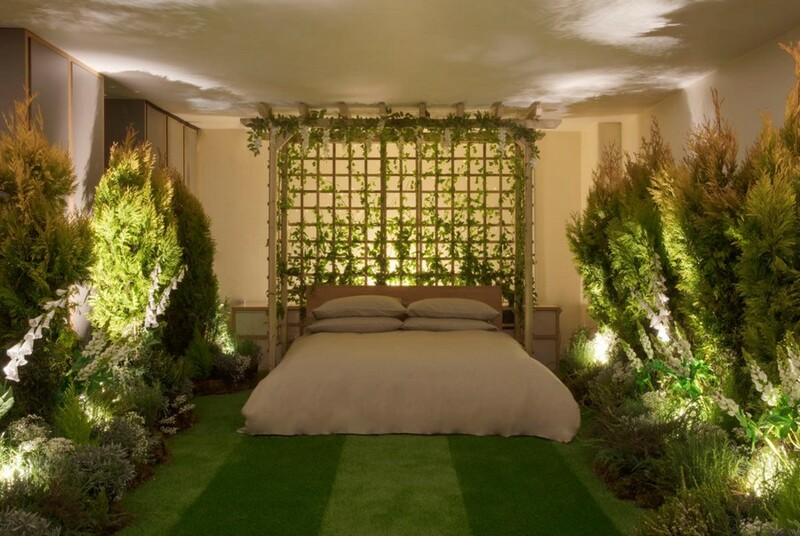 The answer lies in the reasons for emerging of the greenery interior trend. Big city life, chronic fatigue and latest fashion for laconic interiors and convenience make us miss countryside peace, strolls through the park and smells of the wood. Having a small oasis for nice rest in an ecological, eye-pleasing and soothing place is what many people dream about, and Pantone and Airbnb make this dream come true. 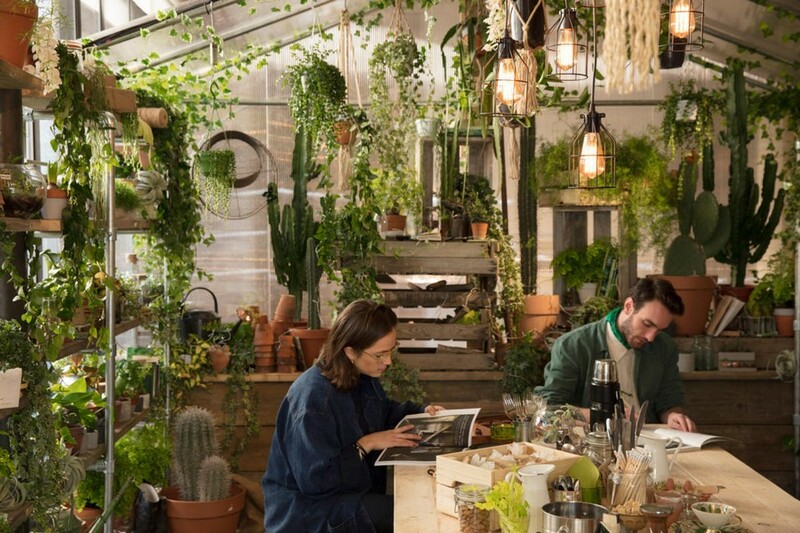 By the way, every inhabitant of the green house can not just admire the beauty of the interior, but also contribute to the efforts of its further greening and plant something. And of course, it’s allowed to use all the surroundings to full extent: brew leaves, collect herbariums and create herbal compositions. Just like in a genuine forest!